The Writers’ House is designed to be a sanctuary. Within its walls, those who long for literary achievement and eventual recognition can work in a peaceful setting, receive helpful suggestions from fellow aspirants, and be instructed and encouraged by guest writers acting as as tutors and exemplars. As the novel opens, DI Vera Stanhope has been prowling the environs in search of her neighbor Joanna Tobin. Joanna has suddenly gone missing; her partner Jack thinks she’s at the Writers’ House. Vera hasn’t had any luck so far in finding her and thinks she might be on a fool’s errand. Suddenly, from an upper balcony of the house, an bloodcurdling scream issues forth. What on earth can have happened in this quiet, remote fastness dedicated to intellectual pursuits? The police have been called, but Vera is already on the scene, ready to intervene in what must certainly be a dire crisis. And so it proves to be. But she and her team of investigators are a long time figuring out the real genesis of that scream. I love the way this novel unfolds. The situation becomes increasingly complex as new characters emerge onto the scene – everyone in the Writers’ House, to begin with. Vera and her trusty second, Joe Ashworth, remain in charge of the investigation. Deep down, everyone loved a murder almost as much as she did. They loved the drama of it, the frisson of fear, the exhilaration of still being alive. People had been putting together stories of death and the motives for killing since the beginning of time, to thrill and to entertain. It was different of course if you were close to the victim. Or to the killer. Vera had better timing than a stand-up comedian and knew the importance of a pause. In theory Vera liked strong women; in practice they often irritated her. Kindness could be a great weapon. It occurred to her that there might be a greater proportion of psychopaths in Parliament than in prison. Vera had no patience for speculation. Unless she was the one doing the speculating. Gradually these observations coalesce to form a portrait of a singular personality. Speaking as a person who more or less devours large quantities of crime fiction – not to mention true crime – I find Vera Stanhope utterly unique. Joe had been listening intently. She loved that about him. The way he hung on her every word. Vera thought Joe was a soft-hearted sod, but she liked him the better for it. Although it is Vera’s restless intellect with which we’re primarily engaged, Joe is an important character as well, a vital sounding board for her wide-ranging thoughts and speculations. Vera is somewhere in middle age, lives alone, has no children. This in no way hinders her powers of empathy. 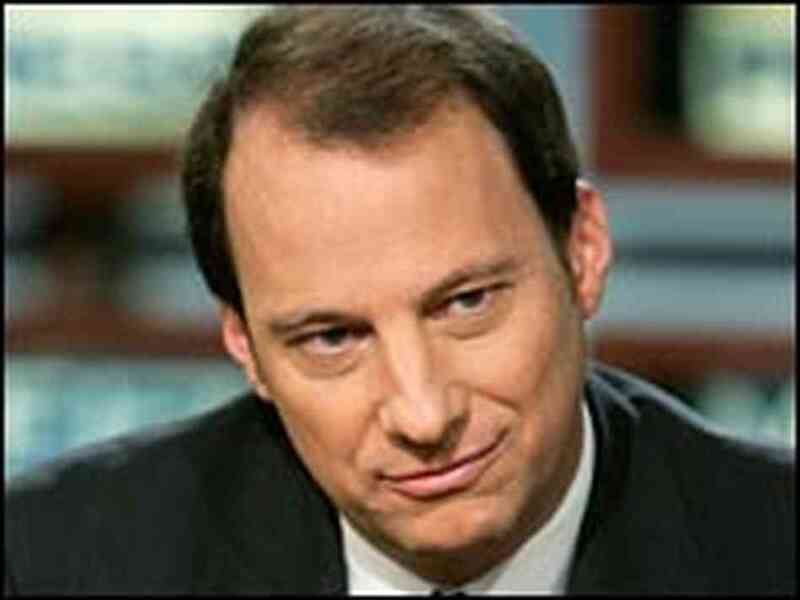 Joe is somewhat younger, married with three small children. An interesting thing happens to Joe in this novel: he finds himself attracted to Nina Backworth, a woman involved in the case that he and Vera are investigating. The attraction seems to be mutual. Acting on this attraction would be a bad idea for any number of reasons. Yet so perverse are the wellsprings of human desire that the worse the idea becomes, the more power it exerts. ‘Lust that felt like adultery’ is what Joe is experiencing; it’s causing him to feel desperate and distracting him from the case. When they were alone at last, he sat with his wife on the sofa, his arm around her shoulders, cuddling together like teenagers. Thought there was nobody in the world he would feel so at ease with. He couldn’t imagine Nina Backworth watching old episodes of The Simpsons and laughing with him at the same jokes. Later he took Sal to bed and they made love. Afterwards he lay awake, listening to her breathing, loving her with all his heart and soul and pushing away the feeling that there should be more to life than this. As you can see, there’s a lot going on in The Glass Room. Questions beget answers, which then beget more questions. I was completely drawn in, and stayed that way till the end. Thus far I’ve read six of the eight novels in the Vera Stanhope series. I am worried about running out. No pressure, Ann, but could you write faster? When you get your books from Amazon, you may get some surprises as well. I got one when The Crow Trap arrived: all 535 pages of it. I groaned inwardly (and outwardly too, just ask my husband), but as it turned out, I loved this book right from the get-go. It was eminently readable and completely absorbing. I finished it in a matter of days – would have done sooner, only I didn’t want my enjoyment to end prematurely. Three women are gathering data as part of an environmental survey being conducted in the north of England. Their results will be crucial in determining whether a quarry can be established in the region.They’re at the center of a crowded canvas featuring people with various problems, motives, and intentions. She was a large woman – big bones amply covered, a bulbous nose, man-sized feet. Her legs were bare and she wore leather sandals. Her square toes were covered in mud. 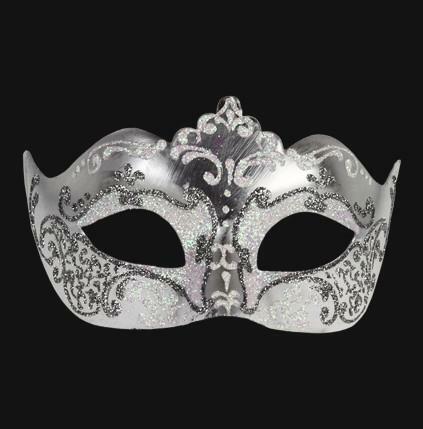 Her face was blotched and pitted….Over her clothes she wore a transparent plastic mac and she stood there, the rain dripping from it onto the floor, grey hair sleeked dark to her forehead…. 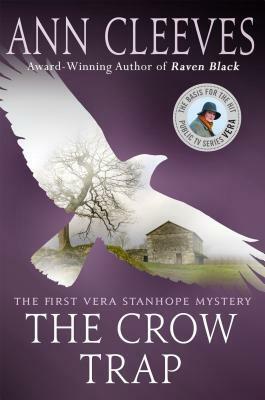 The Crow Trap, which came out in 1998, was the first novel featuring DI Vera Stanhope. There are now seven, with another due out in September. 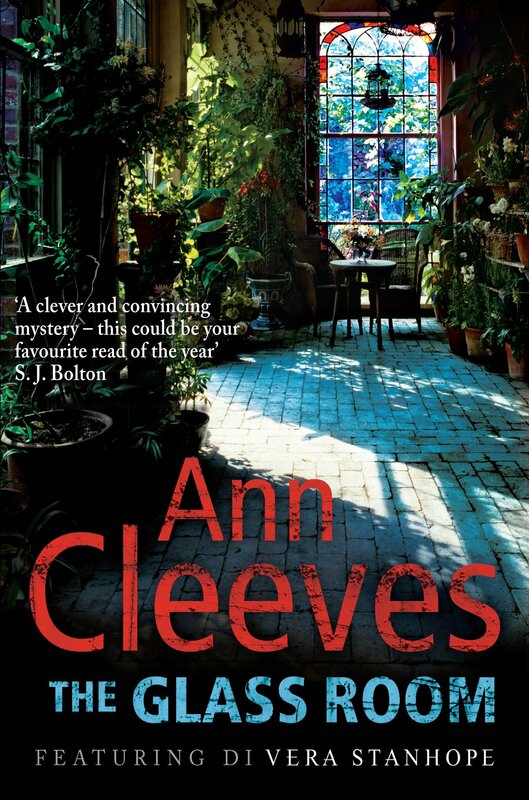 I hadn’t read anything by Ann Cleeves since Blue Lightning, the fourth in the Shetland series. (I’ve also read the three predecessors: Raven Black, White Nights, and Red Bones). I’d forgotten what a terrific storyteller she is, a gift amply supported by the quality of her writing. I won’t forget again, for some time now at least. I’d had The Dungeon House on my Kindle for quite some time, so I made it my business to read it in advance of the planned meeting with Martin Edwards on this trip. What a pleasure! 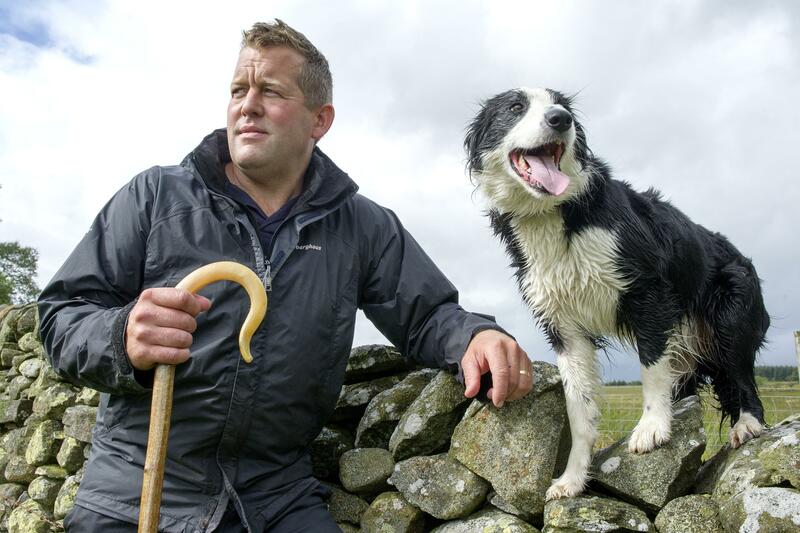 This may be my favorite of his always enjoyable Lake District series. 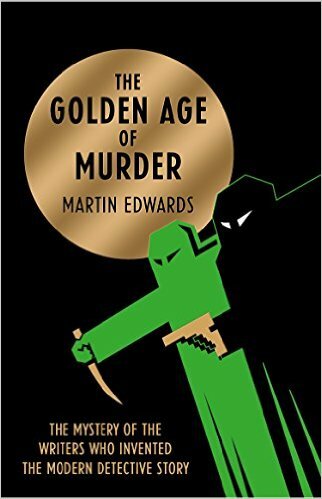 Martin has recently won accolades for The Golden Age of Murder, his meticulously researched (and hugely entertaining) history of the Detection Club. And now he has come out with this gem: . I acquired this last week at Mystery Loves Company in Oxford, Maryland – only a short ferry ride from St. Michaels, where we were staying. I’ve been putting off actually having a look inside. Treasures await, I know, in the form of all kinds of titles that I simply MUST READ AT ONCE! 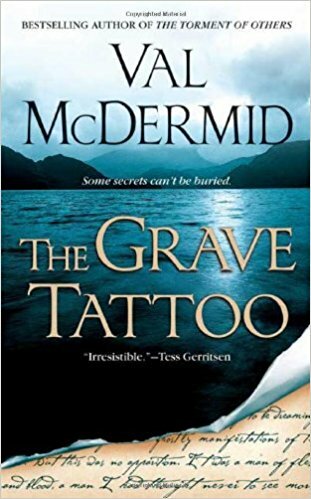 I’ve written about The Grave Tattoo, a highly original and intriguing mystery, in a previous post. And finally, Peter Turnbull’s Hennessey and Yellich novels were commended to us. This is a series that I absolutely love, as much for Turnbull’s highly idiosyncratic style as for his appealing characters and strangely original plots. After pausing a moment he walked round to the side of the bed. His sister lay there, beautiful and calm, with no sign of her recent illness and pain, but unmistakably different, with a statue-like, frozen look, the lips like marble, ‘the stiffening hands laid palm to palm’ — an awesome being, and not quite his sister any more. His attention was caught by a low surge of wind outside the open window, and listening to it for a moment he was carried on the sound of the breeze into a kind of trance: his bodily senses were suspended, and ‘A vault seemed to open in the zenith of the far blue sky, a shaft which ran up forever; and the billows seemed to pursue the throne of God; but that also ran before us and fled away continually . . . some mighty relation between God and death struggled to evolve itself until, after what seemed ‘a very long interval’, he regained normal consciousness and found himself standing, as before, by his sister’s bed. I doubt I will ever again read so poignant a description of a grieving child. Elizabeth had been the only reliable source of affection in Thomas’s love-starved childhood. 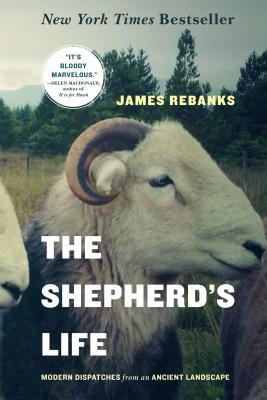 I had already tried and failed to get into James Rebanks’s chronicle of a shepherd and the vagaries of sheep herding in the modern world. I mean, slightly over three hundred pages about sheep -really? It is the story of a family and a farm, but it also tells a wider story about the people who get forgotten in the modern world. It is about how we need to open our eyes and see the forgotten people who live in our midst, whose lives are often deeply traditional and rooted in the distant past. Give yourself a little time to get into it – the effort is very worthwhile. 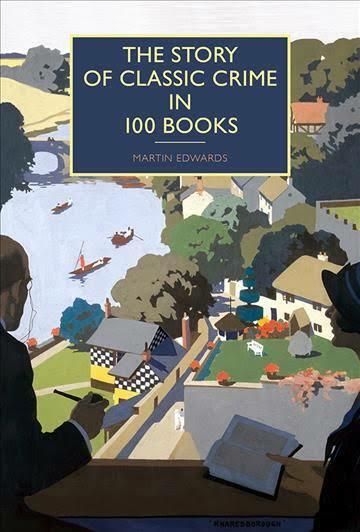 And I recommend my post on this delightful book. It contains some great photos as well as links to two memorable video segments. 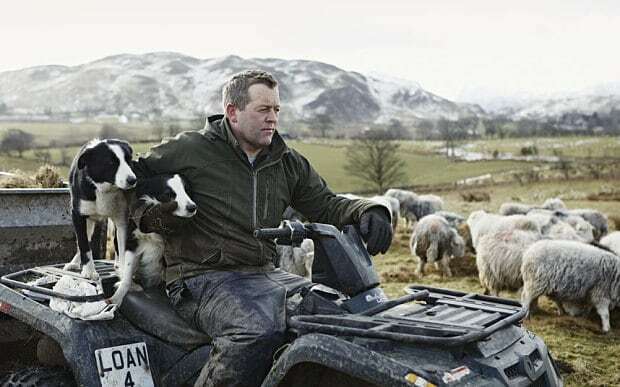 Rebanks, his sheep, and his marvelous sheep dogs – all are wonderfully photogenic. 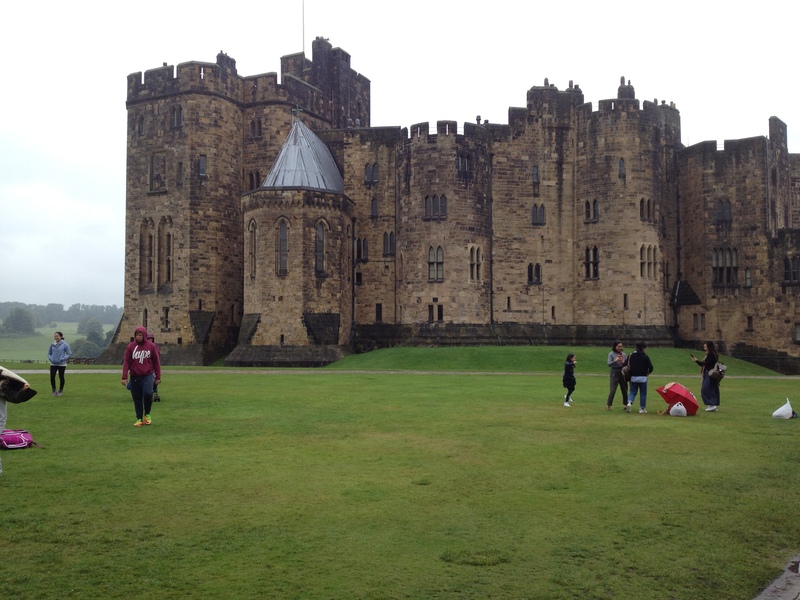 Along with several of my mystery-loving friends, Ron and I were all set to take this British Mystery Trip to the north of England, when we were unexpectedly waylaid by a medical situation that had to be seen to in a timely fashion. The outcome, I’m relieved to report, was excellent. I’d been cleared for take-off, as it were, but the plane had long ago left the airport. While abroad, my friends were wonderfully supportive, sending periodic dispatches and photos. 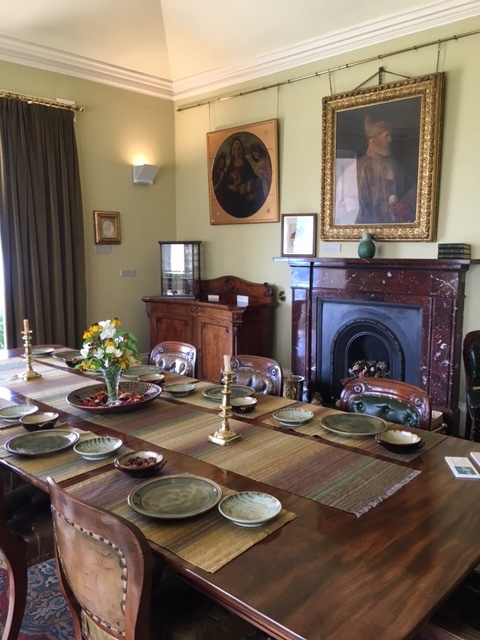 Interior of Brantwood, John Ruskin’s home, taken by Marge T.
Alnwick Castle, home to the Dukes of Northumberland, taken by Ann R.
British Mystery Trips always provides an annotated reading list that is a very model of erudition as well as pure literary pleasure. The reading I was able to complete represents only a fraction of what was actually on the list. Needless to say, I don’t regret the time spent on it. On the contrary, I’m grateful. Rumor has it that beautiful Britain will be around for a long time to come, thereby giving me other opportunities to visit in future. I’m already looking forward to the occasion. Let’s just say: So much crime fiction, so little time. We do want to get on with this post, after all! He stooped lower for more mouth-to-mouth. The first instinctive revulsion had gone. He cared, he really cared. Hot lips against cold. Two lungfuls of air. Then back to the compressions. Already he felt the emotional bond that lifesaving creates. He couldn’t allow himself to think this might already be a corpse. He and his mate here were not letting go. There had to be life. Come on, old friend, he urged as he worked his aching shoulders, you and I can do this. I read The Poacher’s Son, the first entry in this series, when it came out in 2010. It was immediately recognized by readers and reviewers as a superior first novel, and I could see why. For whatever reason, I didn’t return to the series until this year. That may be due to the unusually laudatory reviews it was receiving. Well, this time around, I thoroughly enjoyed the exploits and tribulations of Maine game warden Mike Bowditch. 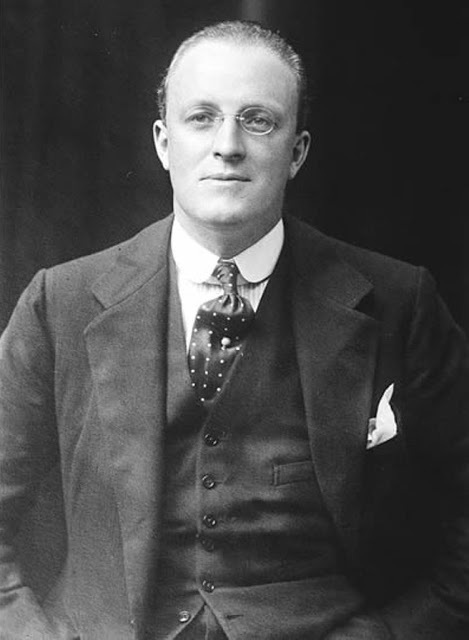 His efforts to solve a difficult murder, his entanglement with authorities who seem bent on thwarting instead of helping him, his efforts to keep his relationship with his girlfriend, a wildlife biologist, from veering off course – I was happily engaged with all of these aspects of young Bowditch’s busy and often stressful life. He’s the kind of protagonist you root for wholeheartedly. 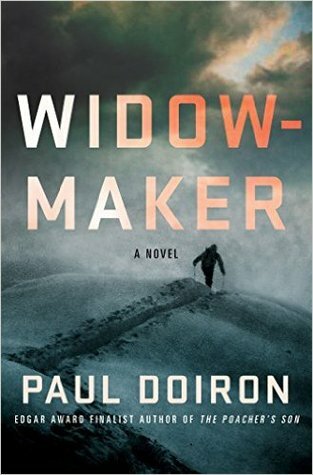 And Paul Doiron‘s vivid descriptions of Maine in winter add a welcome texture to the novel. Gosh…what was that? This novel begins with a poignant description of a widow coming to terms with her grief. making a life for herself at a house in the French countryside that should have been the retirement abode for both herself and her husband. Buffeted and battered by a year of uncontainable sobs, her heart had at last steadied itself like the green bubble in a spirit level. There was no particular reason for this new-found calm, or rather, there were a thousand: it was May, the rain was beating against the windows, there was baroque music playing on France Musique; she was making her first vegetable jardinière of the season (fresh peas, lettuce hearts, carrots, potatoes, turnips, spring onions, and not forgetting the lardons! ); the Colette biography she had picked up the day before at Meysse library was propped open at page 48 on the living-room table; she wasn’t expecting anyone, and no one was expecting her. All these little things along with countless others meant that for the first time since Charles’s death she did not feel lonely in the house by herself, but one and indivisible. The mood, while melancholy, is resolute. The pace is slow, even stately. And then, all of a sudden – or at least, so it seems – chaos and threats of violence – followed by actual violence! It’s a disruption with multiple sources, one of which is literally right next door. And a grand passion emerges, right smack in the middle of it all. 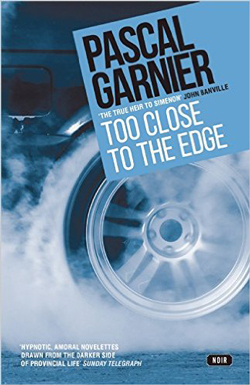 Pascal Garnier has been compared to Simenon, but I’m not sure I see the likeness. Simenon’s books are blessedly short, as is this one, but to my mind the similarity ends there. Did I like Too Close To the Edge? Let’s say I was intrigued by it – and at certain points shocked and amazed by it. Do I recommend it? If you’re feeling adventurous, and can stomach occasional extremes in language and in action, give it a try. And on it goes. What Manse is actually leading up to is a plan for taking revenge on the man he believes is responsible for the assassination of his wife and son. And Ralph is to play a key role in this plan – a plan derived from a famous Hitchcock film. I’m told that the books comprising this series are an acquired taste. I acquired it long ago. I find them hugely entertaining, even at times brilliant. 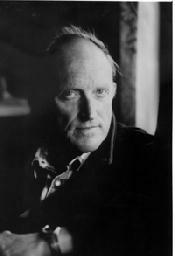 Peter Lovesey. 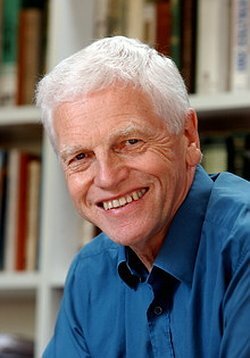 In November, the Detection Club will publish an anthology entitled Motives for Murder, dedicated to Peter Lovesey on his 80th birthday. 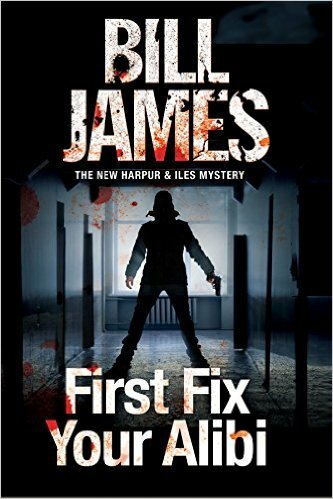 More crime fiction reviews are coming, after a suitable art interlude. Hugh Walpole’s father, Somerset Walpole, was an Anglican priest. At the time of his son’s birth in 1884, he was the incumbent at a cathedral in Auckland, New Zealand. Five years later, Rev. Walpole accepted a teaching position at a theological seminary in New York. 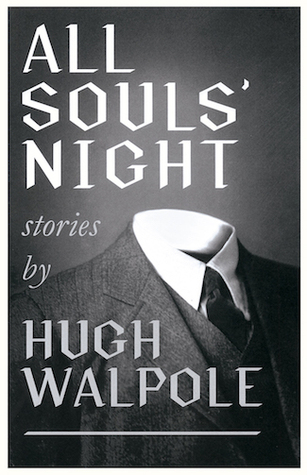 In 1893, Hugh Walpole was sent to England where, for the next four years, he endured the seemingly inevitable miseries of the English boarding school. Even when his family finally returned to England and Hugh was able to attend a day school, the unhappiness persisted. He spent most of his time in the library, devouring the works of the nineteenth century’s great novelists. I grew up … discontented, ugly, abnormally sensitive, and excessively conceited. No one liked me – not masters, boys, friends of the family, nor relations who came to stay; and I do not in the least wonder at it. 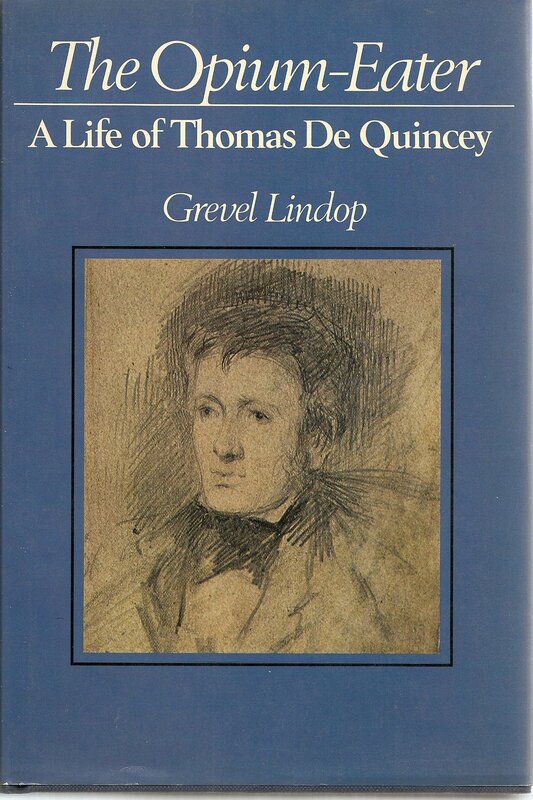 I was untidy, uncleanly, excessively gauche. I believed that I was profoundly misunderstood, that people took my pale and pimpled countenance for the mirror of my soul, that I had marvellous things of interest in me that would one day be discovered. Walpole became a prolific writer whose works were widely read and admired. And yet nowadays he is relatively unknown. One reason for this is that he was the victim of a masterful take-down by a rival author: W. Somerset Maugham. 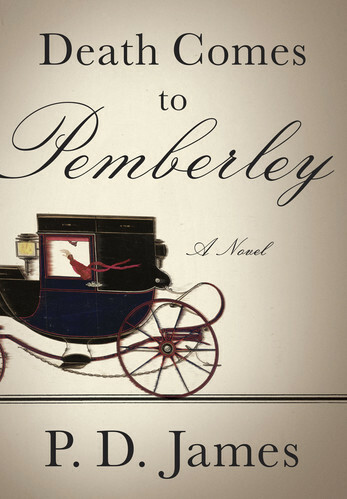 (The name “Somerset” seems to have figured fatefully in Walpole’s life.) This occurred in one of Maugham’s most popular novels, Cakes and Ale. Why would Maugham have done this? …the ruthlessness of Walpole’s self-promotion coupled with a lack of generosity…had begun to repel him. Hugh, it seems, had behaved badly to a couple of good friends of Maugham’s…; he had also, in the course of a recent and prestigious Cambridge lecture, omitted Maugham’s name from a list of well-regarded contemporary novelists…. Poor Sonia Herries! She skates along on the surface of things, going out with friends and collecting beautiful things for her home. Yet she feels the lack of a deeper meaning to her life. Sonia Herries was a woman of her time in that outwardly she was cynical and destructive while inwardly she was a creature longing for affection and appreciation. For though she had white hair and was fifty she was outwardly active, young, could do with little sleep and less food, could dance and drink cocktails and play bridge to the end of all time. Inwardly she cared for neither cocktails nor bridge. She was above all things maternal and she had a weak heart, not only a spiritual weak heart but also a physical one. When she suffered, must take her drops, lie down and rest, she allowed no one to see her. Like all the other women of her period and manner of life she had a courage worthy of a better cause. No one who cared so passionately for beautiful things could be quite worthless. And so begins an insidious form of seduction by a master manipulator and his accomplices. During our discussion, Ann said that as she was reading this story, the mounting sense of dread was so powerful and disturbing that she was unable to finish it. 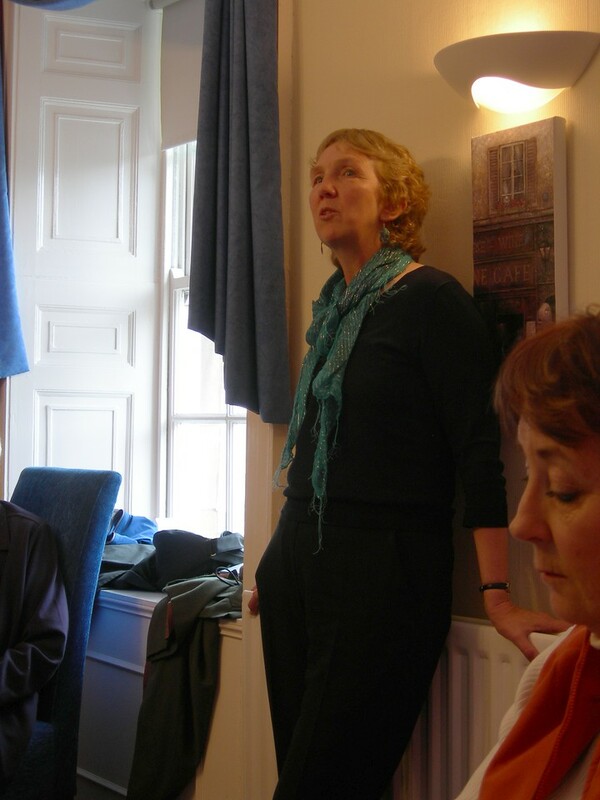 By contrast, Frank’s experience as a psychotherapist caused him to view Sonia Herries as a kind of case study. She was exhibiting, he said, a fatal lack of agency. By this, he meant (as I understand it) that she was allowing people and events to attain dominance over her instead of asserting herself in response to them. 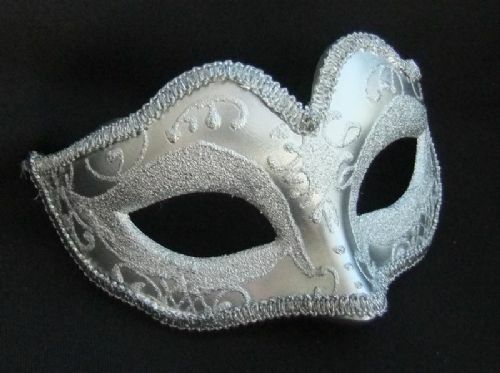 She needed to gain and maintain a measure of control over her own life – control which, as a sovereign human being, she was absolutely entitled to possess and to use. 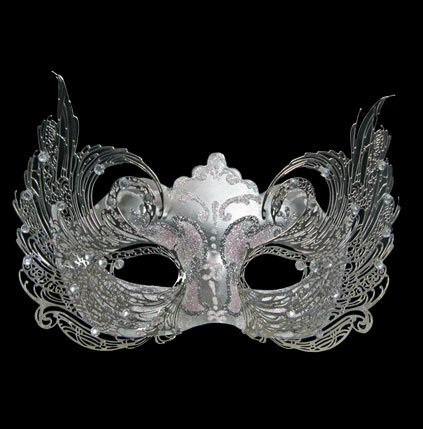 “The Silver Mask” is the second story in the All Souls’ Night collection. The first is called “The Whistle.” I almost had the same reaction to it as Ann had to “The Silver Mask.” “The Whistle” is about the intense mutual love and devotion that develops between a man named Blake and a dog named Adam, and what happens to them both. It is beautifully written, but I’m a great worrier when it comes to dogs, both fictional and real. The two went out into the thin misty autumn sunshine, down through the garden into the garage. The Alsatian walked very close beside Blake, as though some invisible cord held them together. All his life, now two years in length, it had been his instant principle to attach himself to somebody. For, in this curious world where he was, not his natural world at all, every breath, every movement, rustle of wind, sound of voices, patter of rain, ringing of bells, filled him with nervous alarm. He went always on guard, keeping his secret soul to himself, surrendering nothing, a captive in the country of the enemy. There might exist a human being to whom he would surrender himself. Although he had been attached to several he had not, in his two years, yet found one to whom he could give himself. Now as he trod softly over the amber and rosy leaves he was not sure that this man beside whom he walked might not be the one. I intend to read more of these beautifully crafted (yet seemingly artless) stories. The next and final post on this discussion will focus on the story “Cheese” by Ethel Lina White. It’s always exciting to discover a new writer whose work you deeply admire. 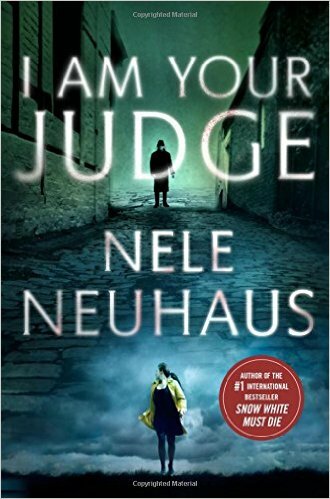 At least, that’s how I felt upon finishing I Am Your Judge by Nele Neuhaus. Granted, I’m basing this rave on just one book – but what a book! At the moment, it is right next to me on my desk, and I’m gazing at it with rapt approbation. It is the job of Chief Detective Inspector Pia Kirchhoff and Chief Superintendent Oliver von Bodenstein to identify this nefarious predator and run him to ground. Fairly early on, they and their team of investigators are able to determine that the targets are actually not all that random. What then constitutes the shooter’s motivation? Is it some sort of retribution? And if so, what was the offense – and who were the offenders? 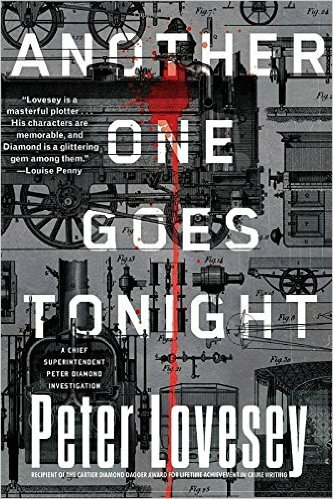 As Pia and Oliver struggle to find the answers to these questions, the killings continue. By my estimate, I Am Your Judge is the seventh book in this series. If you look at the listing on Stop You’re Killing Me, you’ll see why I’m hedging my bets. Dates of original publication in Germany, then dates of translation into English – somewhat confusing. (We dealt with a similar situation when Henning Mankell’s Kurt Wallander novels were first released in this country.) Another interesting fact about I Am Your judge: its original German language title is Die Lebenden und die Toten, which translates as The Living and the Dead. The English language title differs quite bit. I like it much better; it is powerful and sinister and gives the reader an accurate, if disturbing, idea of what’s about to unfold. Will I experience another read as riveting as this was any time in the near future? O God of Literature, please say that I will. On the other hand, there are few experiences as rewarding as settling into a magisterial work of literature, one that quite literally transports you to another time, another place, another world. Most of the time, but not always, such books have considerable heft. They take some time to work their magic (and in some cases, it is a dark magic). Oh but is it ever time well spent! I’m thinking, for example, of A Passion for Nature, Donald Worster’s biography of John Muir; Destiny of the Republic by Candace Millard; The Age of Wonder by Richard Holmes; Wolf Hall and Bring Up the Bodies by Hilary Mantel; The Secret Lives of Somerset Maugham by Selina Hastings; People Who Eat Darkness by Richard Lloyd Parry; Nature’s Engraver, Jenny Uglow’s biography of Thomas Bewick; and Robert K. Massie’s biography of Catherine the Great. 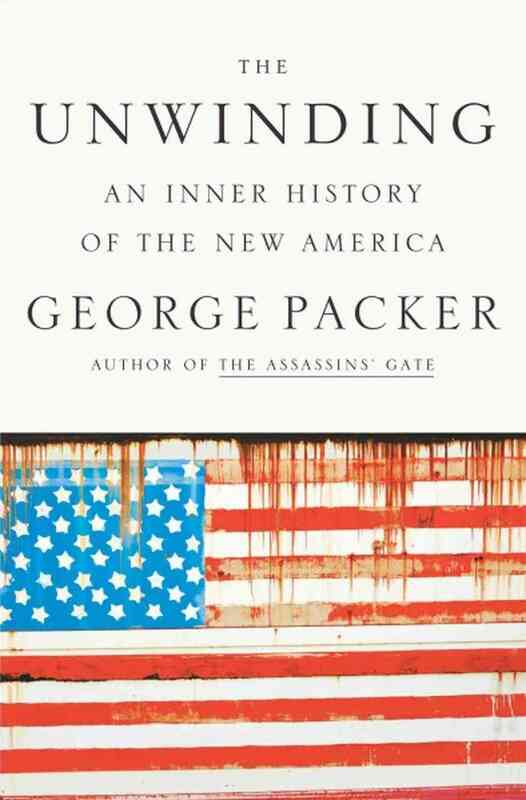 To this august company I now gladly add The Unwinding: An Inner History of the New America, by George Packer. The Unwinding is very much a book of the present moment and not the sort toward which I ordinarily gravitate. But as I read the reviews, I found myself thinking, I really want to read this. I felt drawn by the description of its contents. The Unwinding more than fulfilled its promise. That said, this is a difficult book to describe. Packer’s crowded canvas includes portraits of the famous, the infamous, and everyday people. It’s that last group that is most compelling. It’s comprised of a wide variety of individuals, some pursuing their dreams, others just trying to keep their heads above water. 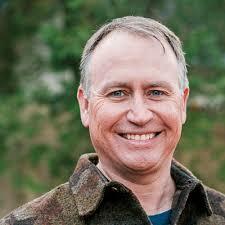 Dean Price of Rockingham County, North Carolina. The plateau of hardwood hills and red clay fields between the Appalachian range and the Atlantic coastal plain is called the Piedmont. Along the order between Virginia and North Carolina, from Dansville and Martinsville down to Greensboro and Winston-Salem, the mainstays of Piedmont life in the twentieth century were tobacco, textiles, and furniture. In the last years of the century they all started to die, more or less simultaneously, as if a mysterious and highly communicable plague swept through the region. Then there’s Jeff Connaughton of Alabama. Connaughton wanted to contribute to the betterment of America through political engagement. A self-confessed “Biden guy,” Connaughton’s odyssey through the power corridors of Washington makes for very illuminating reading. The more familiar names come from all walks of life: Newt Gingrich, Oprah Winfrey, Sam Walton, Colin Powell, master chef Alice Waters, rapper Jay-Z – the list goes on. The celebrity chapters are short but enlightening. This holds true especially for Peter Thiel. Packer chooses the German-born Thiel to represent the phenomenon of Silicon Valley. The chapter on him might have been entitled, “Inside the Mind of a 46-year-old Billionaire.” Not unexpectedly, one finds some unusual things in that mind. The growth machine cleared out the pine trees and palmettos and orange groves along State Road 54 up in Pasco County. It cut don the mangroves on Apollo Beach and asphalt over the strawberry farms around Plant City. Farther south down Interstate 75, in Lee County, the growth machine built a university on the wetlands near Fort Myers (Senator Connie Mack put in a call to the Army Corps of Engineers),and it sold quarter-acre lots on the installment plan between the drainage canals of Cape Coral. Farmers and ranchers cashed out and suddenly, where there had been orchards or pastures or swampland, developers put up instant communities–they were called ””boomburgs”–and christened them with names that evoked the ease of English manor life: Ashton Oaks, Saddle Ridge Estates, the Hammocks at Kingsway…. For some folks, life was good in Tampa. This was especially true for certain four-star generals attached to MacDill Air force Base, home of the United States Central Command: “They enjoyed the lavish hospitality of Tampa society hostesses while shaping U.S. foreign policy and the fate of nations across the most volatile region of the globe, from Egypt to Pakistan, with all the authority of Roman proconsuls.” Four blocks from this hive of weighty activity lived Danny and Ronale Hartzell, their two kids, and Danny’s younger brother Dennis. All inhabited a ground floor apartment in a complex where drugs were regularly bought and sold. It was all in the way of living quarters they could afford. All three adults were willing to do any kind of work but had trouble finding and keeping jobs. He was in his late thirties, short, with a pot belly on him, a wispy goatee, and a nearly hairless head under his Steelers cap. He was missing a bunch of teeth and spoke in a loud hoarse voice because of deafness in one ear. He classified himself as a “blue-collar-type guy,” not a “behind -the-counter-take-your-money-can-I-help-you-find-your-dress-size-type guy,” but the only jobs left were in retail and he lacked the right look and manner. A prosthesis that would require regular four-millimeter adjustments as she grew was sewn inside the length of Danielle’s skinny little leg. she went a whole year cancer free. They thanked God. Otherwise, nothing changed for the Hartzells. The creation of virtual worlds had taken the place of advances in the physical world. George Packer has crafted a unique, irresistible contraption of a book. 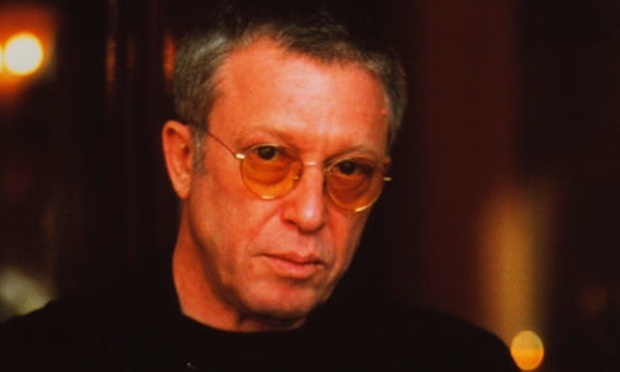 Not since John Dos Passos’s celebrated U.S.A. trilogy, which The Unwinding recollects and rivals, has a writer so cunningly plumbed the seething undercurrents of American life. The result is a sad but delicious jazz-tempo requiem for the post World War II American social contract. You will often laugh through your tears at these tails of lives of ever-less-quiet desperation in a land going ever-more-noisily berserk. The Unwinding is a finalist for this year’s National Book Award in nonfiction. I hope it wins. Madame Vendremot was staring at Adamsberg in disbelief. “But you don’t even recognize the name? Hellequin’s Horde,” she whispered. Commissaire Jean-Baptiste Adamsberg is baffled by this exchange. So was I. A tiny, nervous woman from Ordebec in Normandy has come to Paris expressly to see the Commissaire and warn him of the threat of sudden death for certain citizens of the town. Because of her sighting, Madame Vendremot’s daughter Lina knows who they are – all except one, that is. For his part, Adamsberg finds the purport of her message almost incomprehensible. Nevertheless, he decides to travel to Ordebec himself, to see the how the land lies. I’ve known about the Commissaire Adamsberg series for quite some time. I knew they were highly thought of by crime fiction cognoscenti. I tried several, but I couldn’t get into them. 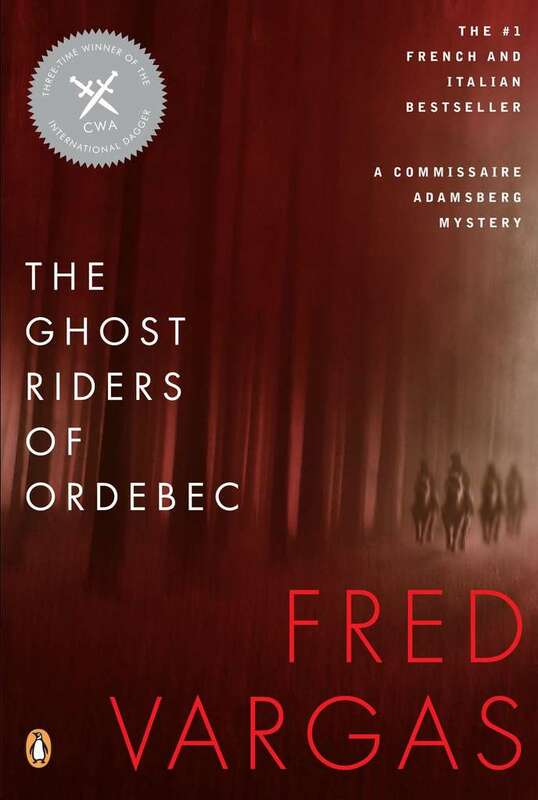 The Ghost Riders of Ordebec, though, was getting such enthusiastic reviews, I decided to try again. And this one worked for me – worked, in fact, extremely well. Adamsberg is an unusual, rather enigmatic character. “I like the way his mind works,” Frances of Usual Suspects told me when she recommended the series. I do too. Flashes of insight can be succeeded – or preceded – with profound inertia. The Commissaire is a master of lateral thinking. Or rather, of thinking about anything but the crime he’s attempting to solve. The Ordebec investigation provides scope for his strangeness. He likes to sit outside beneath a tree munching on an apple, even when it’s raining. He uses up a fair amount of mental energy trying to figure out why the cows in a distant field seem never to move. And he takes slow, solitary walks along the Chemin de Bonnival, in the forest of Alance. This is the place where Lina claims to have seen the Furious Army. Just what is this strange, threatening entity? Adamsberg’s second in command is Adrien Danglard, a close friend as well as a valued colleague. At Adamsberg’s house one evening, Danglard, who takes a passionate interest in all things medieval, seeks to enlighten his boss on the subject of the Ghost Riders. ….this ancient cavalcade causing havoc in the countryside is damaged. The horses and their riders have no flesh and many of their limbs are missing. It’s an army of the dead, of the putrefied dead, an army of ghostly riders, wild-eyed and screaming, unable to get to heaven. Adamsberg approached the fireplace again, curious to hear a little more, and leaned against the brick hearth. The fact that the Riders singled out unpunished villains interested him…. You can tell yourself you don’t believe this kind of thing, but it’s difficult not to believe it. The pernicious idea digs a deep channel. 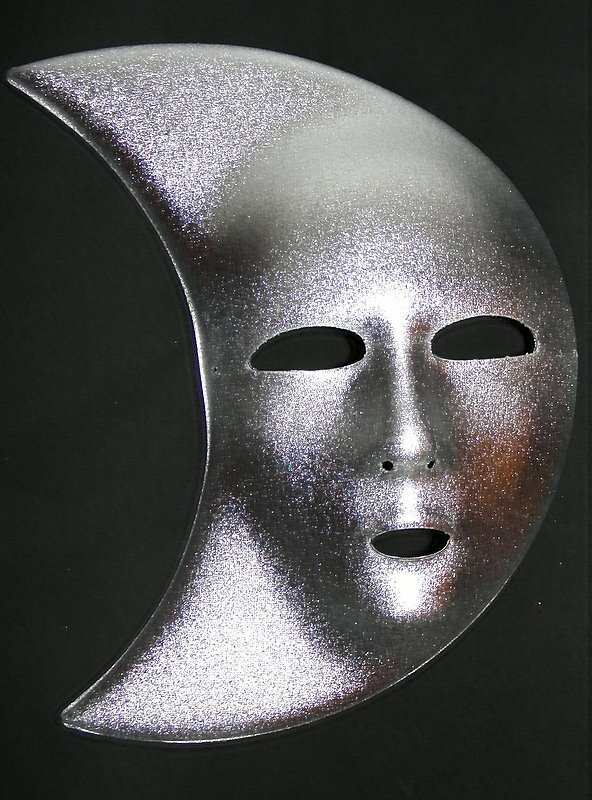 It silently infiltrates the the unavowed corridors of the mind, penetrates, and trickles through. You suppress the idea, it lies dormant for a while, then it returns. The Furious Army, Hellequin’s Horde, the Ghost Riders, the Wild Hunt – it’s a legend of many names, with many manifestations. Most likely it originated in Scandinavia. Even in Winter, you are not safe. Stay indoors, attend your hearths. Try to keep the night at bay by the telling of your tongue. Remember your kin, honor your ancestors. For at this time the dead begin to stir, riding upon hallowed and familiar roads, galloping through villages and wastes, flying through the forests of the mind. Such raids are reminders that the past is not a dead thing, but may return, like a hunter, to follow us for a time. Adamsberg is strongly attracted to Lina – he claims that she “irradiated” him – but he makes no move toward her, and nothing comes of it. 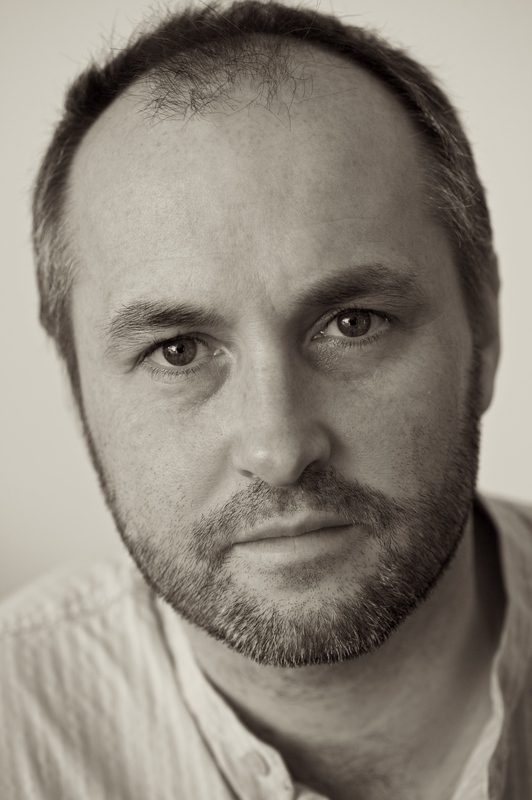 This is of a piece with the general tenor of a novel in which things seem to progress – if you can call it progress – in a halting, dreamy way, punctuated by episodes of high drama. 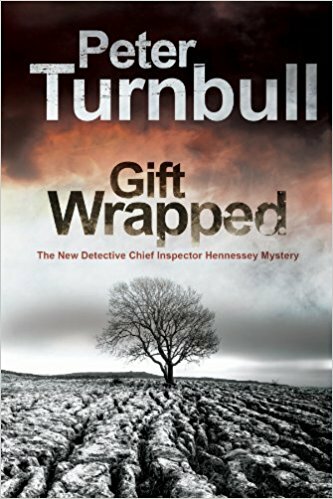 It’s an extremely effective narrative style, especially with the author’s sly wit, reminiscent of Ruth Rendell, interspersed throughout. And what of this author? Fred Vargas was born in Paris in 1957. She has trained as an historian and an archeologist. 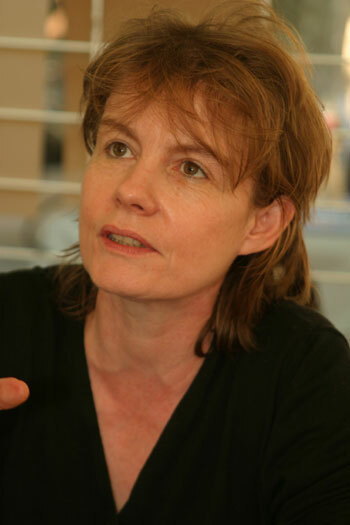 (Her real name is Frédérique Audoin-Rouzeau.) 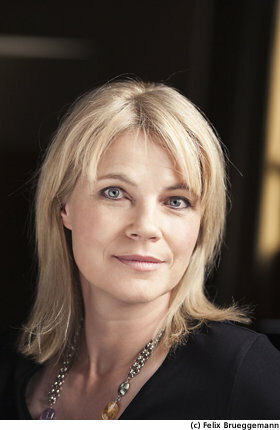 And she has won the CWA International Dagger Award four times, in 2006 for The Three Evangelists, in 2007 for Wash This Blood Clean From My Hand, in 2009 for The Chalk Circle Man, and this year for The Ghost Riders of Ordebec, an honor given jointly to her and to Pierre Lemaitre for his novel Alex. (One is tempted to exclaim: “The French are coming, the French are coming; watch out, Scandinavians!”) A complete list pf Vargas’s novels can be found at Stop! You’re Killing Me. While the Ordebec story moves forward – or sideways, depending on any number of things – other things are happening. Adamsberg’s twenty-eight year old son Armel, nicknamed Zerk, is currently living with him. This is a progeny whose existence was unknown to the Commissaire until a short while ago. Zerk is helping to care for a wounded pigeon. The bird’s misfortune was caused by a deliberate, cruel trick; father and son are determined to nurse it back to health. (And Adamsberg would dearly love to apprehend the responsible party.) Zerk also helps the Commissaire to shield a hapless young man who is about to be framed for a murder he did not commit. It’s desirable in a police procedural that the author include believable and interesting people in the protagonist’s team of investigators. Team members can be characterized by their strengths, weaknesses, and idiosyncrasies. Vargas is especially good at this (as is Peter Turnbull). To sum up, I liked this novel very much. Vargas writes beautifully, and credit must also go to the translator Sian Reynolds. I look forward to the further adventures of Commissaire Adamsberg, the singular detective with an equally singular team. I wish to express my deepest condolences for the victims of the tragedy in Connecticut, and their families. Please know that we are heartsick for all of you. President Obama said, “‘We’ve endured too many of these tragedies in the past few years…'” One can but agree, although this one is especially horrific. It also serves as a fearful reminder: This could happen to any one of us. Hold her tight, if you have her; hold her tight, I thought, that’s my advice to all the living. Breathe her in, put your nose in her hair and breathe her in deeply. Say her name. It will always be her name. Not even death can steal it. As the President also said, these communities are our communities; these children belong to all Americans. We are all mourners today.